Enjoy the best inspirational, motivational, positive, funny and famous quotes by Anita Dunn. Use words and picture quotations to push forward and inspire you keep going in life! 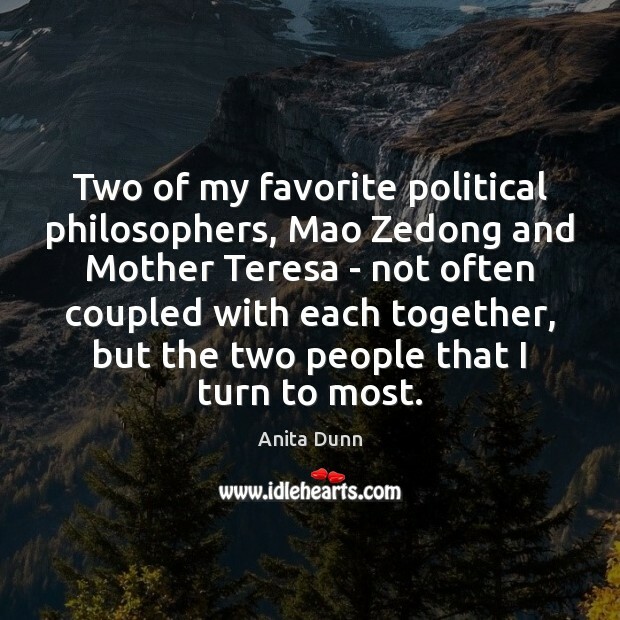 Two of my favorite political philosophers, Mao Zedong and Mother Teresa - not often coupled with each together, but the two people that I turn to most. 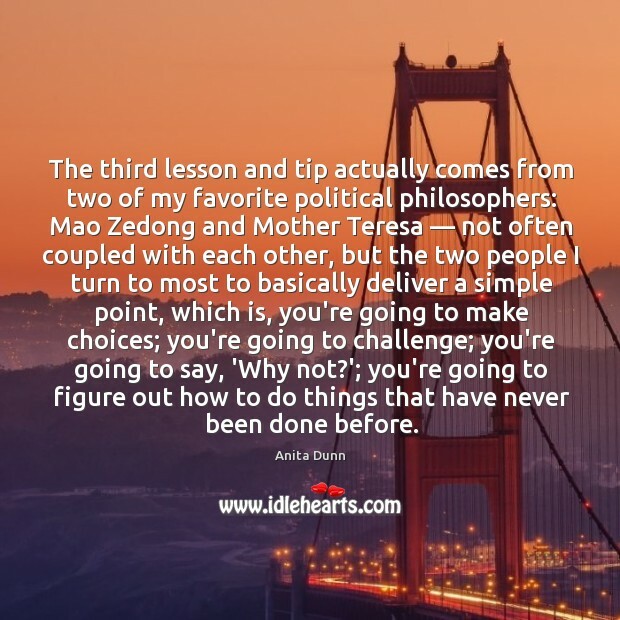 The third lesson and tip actually comes from two of my favorite political philosophers: Mao Zedong and Mother Teresa — not often coupled with each other, but the two people I turn to most to basically deliver a simple point, which is, you're going to make choices; you're going to challenge; you're going to say, 'Why not? 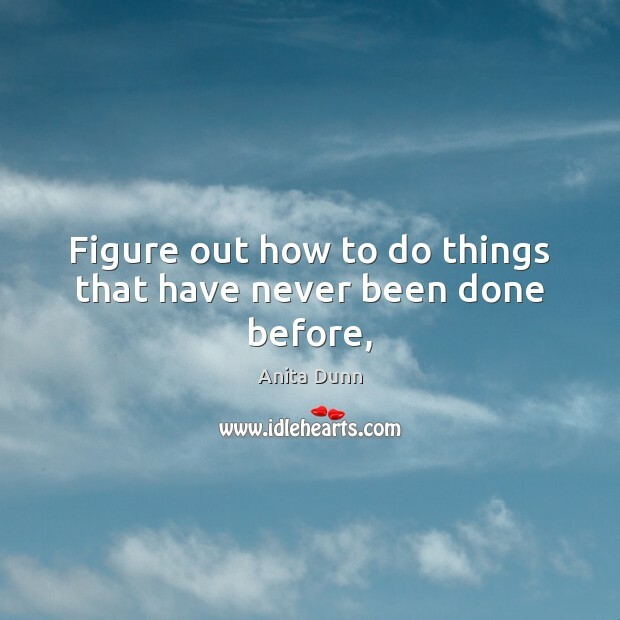 '; you're going to figure out how to do things that have never been done before. 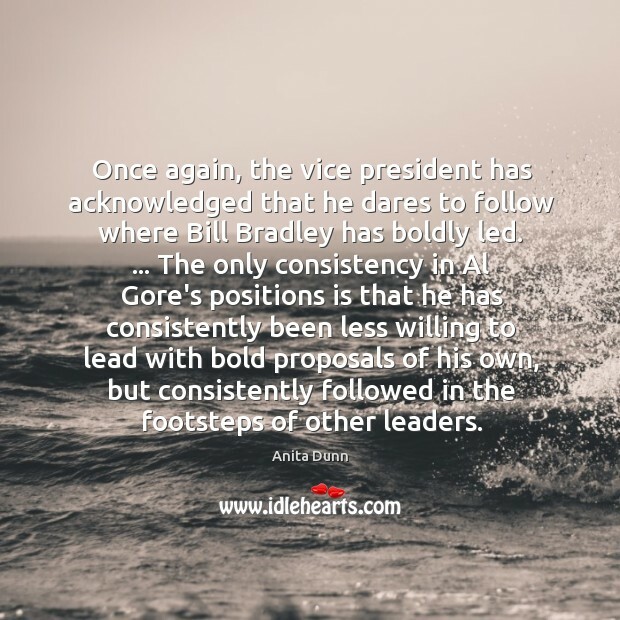 Once again, the vice president has acknowledged that he dares to follow where Bill Bradley has boldly led. ... The only consistency in Al Gore's positions is that he has consistently been less willing to lead with bold proposals of his own, but consistently followed in the footsteps of other leaders.